The new £8.9 million NGS Chesterfield Royal Macmillan Cancer Centre will transform cancer services for people across North Derbyshire. The new centre is planned to be open at Chesterfield Royal Hospital by Spring 2017. 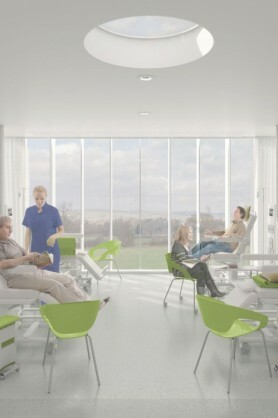 The Chesterfield Royal Macmillan Cancer Centre will combine the current outpatient chemotherapy and day unit services in one purpose-built centre The new chemotherapy suites will have the space and equipment to treat 25 people at one time, a marked improvement on the current oversubscribed capacity of 8. Macmillan is working with the Chesterfield Royal Hospital NHS Foundation Trust to improve the lives of people affected by cancer in the region in order to address the challenges faced by a hospital with a reputation for excellent patient care, dedicated staff and volunteers. 25 Chemotherapy Chairs and two beds (there are currently eight chairs and no beds at the Hospital). This means many people will no longer have to travel to Sheffield for their treatment and be closer to home. As of Winter 2016, the structure is virtually complete and many of the rooms have been sectioned off as work continues on the building’s internal aspects. The video, which you can watch below, takes you inside the unit and gives you a few facts and figures about what has gone into its construction and the fundraising efforts through the Macmillan Appeal to raise £2.5million. Plans for a brand new state-of-the-art cancer centre at Chesterfield Royal Hospital have been given the go-ahead sparking a £2.5 million fundraising appeal by Macmillan. 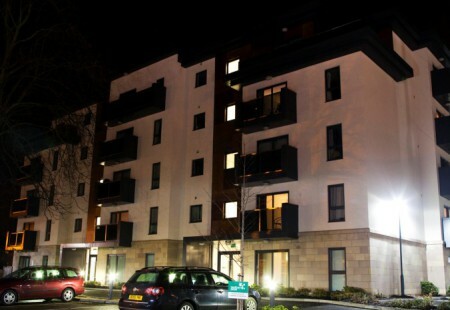 Whether it’s a town or village experience, contemporary or traditional housing, buying or renting, living in Chesterfield and the surrounding area is affordable and offers something for everyone. Keep up-to-date with the latest that is happening in Chesterfield. 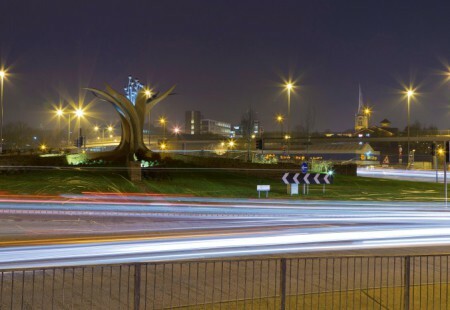 Sign up to our Business and Leisure E-updates for the latest news in Chesterfield. The new £8.9 million Chesterfield Royal Macmillan Cancer Centre will transform cancer services for people across North Derbyshire. 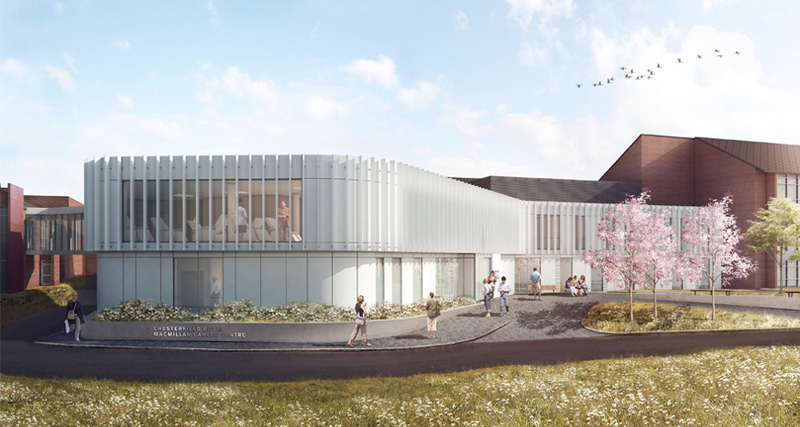 The new centre is planned to be open at Chesterfield Royal Hospital by Autumn 2016.